Dineout is back with GIRF ’19 – country’s most awaited food festival! February 14, 2019 February 15, 2019 Categories Festival, NewsLeave a Comment on Dineout is back with GIRF ’19 – country’s most awaited food festival! Continue reading ➞ Dineout is back with GIRF ’19 – country’s most awaited food festival! My Cube – The coworking space in Kolkata that’s trending these days! December 8, 2017 December 8, 2017 Categories Event, NewsLeave a Comment on My Cube – The coworking space in Kolkata that’s trending these days! Continue reading ➞ My Cube – The coworking space in Kolkata that’s trending these days! Feed The Hungry Project and story of a Kolkata girl! 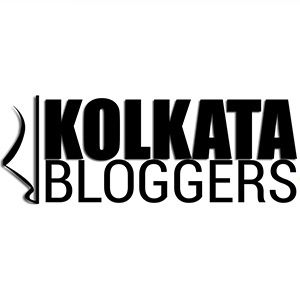 October 17, 2017 October 17, 2017 Categories Event, NewsLeave a Comment on Feed The Hungry Project and story of a Kolkata girl! Continue reading ➞ Feed The Hungry Project and story of a Kolkata girl! ‘FunFoods’ teaches consumers new usage of Mayonnaise in its new TVC with Sonali Bendre! April 26, 2017 April 27, 2017 Categories Lifestyle, News, Product ReviewLeave a Comment on ‘FunFoods’ teaches consumers new usage of Mayonnaise in its new TVC with Sonali Bendre! Continue reading ➞ ‘FunFoods’ teaches consumers new usage of Mayonnaise in its new TVC with Sonali Bendre! Bubbling under! – Mumbai’s first ever restaurant on the sea! April 19, 2017 April 19, 2017 Categories Event, NewsLeave a Comment on Bubbling under! – Mumbai’s first ever restaurant on the sea! Continue reading ➞ Bubbling under! – Mumbai’s first ever restaurant on the sea!